Solar panels—aka photovoltaic, or PV, systems—are a smart investment for any home because they provide clean, renewable power, and can offset the utility bill by hundreds of dollars. Furthermore, they help to reduce carbon emissions, and they increase the value of the home on which they are installed. In Los Angeles, solar panels are not just a smart investment, they may soon become a necessary one; the reason is that California has issued a mandate that, by 2020, every new home should have a solar installation. This has many ramifications, and one of them is that homeowners who want to build a new home will have to choose a solar company to install the PV system. There are dozens of solar companies in Los Angeles and choosing the right one can be difficult; this guide shows you the criteria needed for a high-quality solar company and tells you why Pacific Green Homes meets—or exceeds—those standards. Is The Solar Company Experienced? A company experienced in installing solar panels is a must for any homeowner who is interested in adding a PV system to their home. There are many intricacies involved in installing a solar array, and an experienced company will be aware of all of those nuances. Some of the nuances are obvious, such as making sure that the PV system fits on the roof and determining how many panels are needed to provide the electricity needed for the home. Others are less obvious, for example, some roofs, like tile or slate, require more care when walking on them in order to ensure that none of the tiles get cracked. Experienced solar installers can readily identify which roofs need a softer touch and take the necessary measures to avoid doing damage to the roof during the installation. Pacific Green Homes has experienced installers who have been a part of the solar industry since its infancy, and so they are aware of the extra care that needs to be taken when working on certain types of roofs. Plus, we have experience with roof installation, so we know how to be careful when treading on roof tiles that could break or crack if someone takes a wrong step. Can a Solar Panel Installer Accurately Estimate Your Energy Needs? Each household has different energy needs, and the same goes for the energy output needed from their PV system. A good solar installer can accurately gauge both of those values and inform the homeowner of how many solar panels they need and the amount of energy they will produce. Many homeowners who decide to install a solar array want to offset their energy usage by a certain percentage, for example, a homeowner may want 50% of their home’s energy to be produced by their solar system. The Pacific Green Home installers can take an accurate estimate of the home’s energy usage and determine whether such an offset is a realistic goal. If it is, then they can provide the panels necessary to meet the home’s energy needs. If the energy offset is unrealistic due to limiting factors like the size of the roof, or the amount of sunlight it receives, then the installer can come up with a solution that provides the maximum amount of energy possible for the home. Does the Solar Panel Company Perform the Installation? Some solar companies outsource the work of the actual installation to third-party companies. They do this to cut costs or because they do not have expert installers who can do the job. This could cause trouble for the homeowner because, should any problems arise, it can be difficult to know who is at fault. The company could blame the subcontractor and vice versa, with the homeowner caught in the middle. 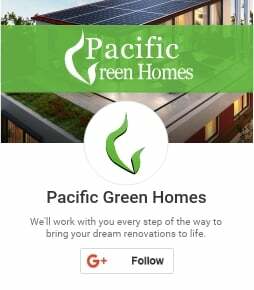 A quality solar company like Pacific Green Homes does all the work and stands by that work. We will be there for the homeowner for the life of the installation. We will be there to take care of any potential problems, and make sure that few problems happen in the first place. Pacific Green Homes has the experience and expertise necessary to provide homeowners with the solar installation they need. We will determine the energy output of the home and set a realistic goal of how much that energy output can be offset by a PV system. We will perform the installation ourselves and monitor and support the system for the duration of its existence. Pacific Green Homes only uses the best materials because we want the best for the homeowner. We will answer any questions you have about the installation and provide any advice you need about it. A solar installation has several possible benefits, but if it is done incorrectly, it can be a boondoggle. That can be avoided by hiring a trustworthy company; Pacific Green Homes is that company. Contact us to find out how we can help you achieve solar freedom.